The Bulkley Valley Social Planning Society (BVSPS) is a group of citizens, social service agencies and community care providers that works to address social issues and improve the quality of life of the people living in the Bulkley Valley. The Bulkley Valley Social Planning Society is a non-for-profit organization which acts to provide an inclusive community perspective on social issues and advocates for the resolution of those issues. The Society liaises and collaborates with community groups, committees, agencies, the public, and government sectors to support a healthy thriving community that benefits all citizens. Membership is open to all residents of the Bulkley Valley. We envision a society that is more just and encourage the community to move in that direction through full community participation and the awareness that everyone has something to offer. The Society has been active in the community since the early 1990’s, starting as an inclusive grassroots “Healthy Communities” initiative. Funding was secured through those years to work with community groups to implement projects that would identify priority social issues in the community, develop strategies, and take action on those issues. 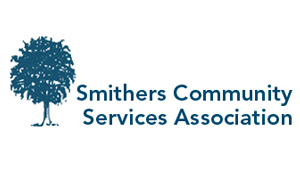 In 2000, following recommendations from an economic development project initiated by the Economic Development Committee of the Smithers Chamber of Commerce, the group transitioned to become the Smithers Social Planning Council (SSPC). By 2006 a formal advisory role as a Committee of Council of the Town of Smithers was established. Over the next few years in partnership with the Town, the SSPC received funding from the Union of BC Municipalities Health Promotion fund to carry out several community development projects around community health, the determinants of health and quality of life measurements. In 2009 Town Council restructured and devolved all Committees of Council and the formal relationship between the SSPC and the Town of Smithers ended. During the next few years the SSPC continued its work in an ad hoc role in the community until the decision was made by SSPC members to continue their work as a formal entity under the Society Act of BC. In June of 2010 the Bulkley Valley Social Planning Society (BVSPS) was incorporated as a not-for profit body that could work with and support individuals and groups throughout the Bulkley Valley area on social issues and concerns.